RELIEVE ALLERGY EYES, SINUS PRESSURE, HEADACHES & MIGRAINES … NATURALLY! If you’re suffering from sinus pain brought on by allergies, illness, headaches, TMJ, or migraines Environmental conditions and increased screen time are among the factors to blame. Now there is a convenient, effective solution, the Bruder Moist Heat Sinus Compress. 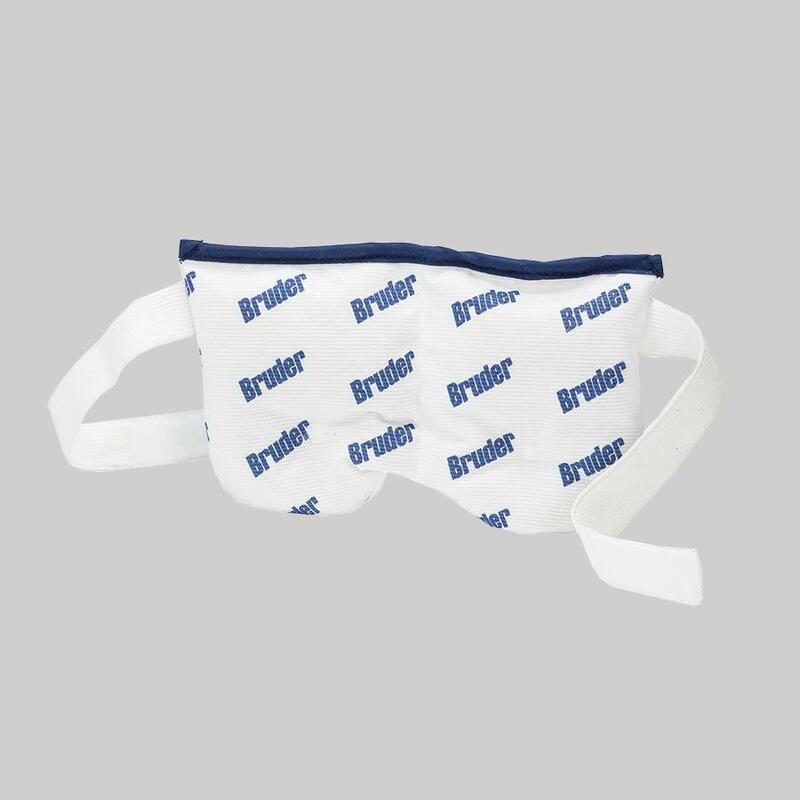 The Bruder Moist Heat Sinus Compress is a comfortable, convenient warm eye compress that naturally restores and stabilizes the tear film, reducing dryness, redness and itching. It also decreases swelling in the sinuses caused by allergies or illness. Easy-to-Use: Simply microwave for 60 seconds to enjoy deep penetrating moist heat therapy for up to 30 minutes. Moist heat increases circulation and speeds recovery by bringing in fresh blood cells and removing the wastes that may hinder healing. Comfortable: Specially contoured for the facial area and provides advanced moist heat or cold therapy treatment. The patented MediBeads sewn into the wrap absorb moisture from the air to create moist heat, so no water or mess in involved. Adjustable, straps make the Sinus Compress easy and comfortable to wear. The Bruder Moist Heat Sinus Compress provides an all natural, drug-free, at-home therapy solution. It is also washable, reusable, antibacterial, and odor free. Simply store your Bruder Moist Heat Sinus Compress in the freezer for several hours prior to use to enjoy soothing cold therapy.